Montes has am MS in Education with Major in TESOL by the University of Miami. He also has am MS in Education with a Major in Spanish and its Culture with a Major in Professional and Enterprise Development by the Universidad de Alcala, Spain, a BS in Economics with Major in International Finance by the Universidad of La Habana and a BS in Philology with Major in Spanish Language & Literature by the Universidad of La Habana. 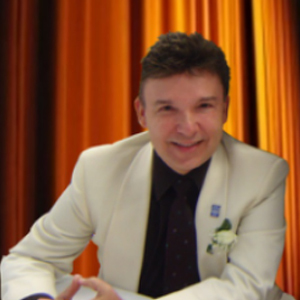 Mr. Montes is Adjunct Faculty for Florida International University and for Miami Dade College. He has been Dean of Instructions for Loyola Business School and Principal for Columbus Military Institute. He has also occupy the posts of ESOL Dept. Chair, Business Technology Dept. Chair, GED and High School Completion Dept. Chair, COE Accreditation Liaison, Media Liaison for The English Center, Miami-Dade County Public Schools. He received the Florida Teacher of the Year for Adult and Community Educators (ACE), and the "Un Maestro Especial" Award by Univision-Papa John's. He is a Cambridge University Press & Pearson ELT ESOL series consultant. He has also been presenter at multiple national and international education conferences and frequent guest on radio and TV programs on political, economic and education issues.